You may not be an oilfield worker, miner or logger or make a living from other high-risk occupations, but, as a self-employed photographer, you can be injured and find yourself unable to work and support yourself and/or your family. With your eye to a camera much of the time, it’s quite easy to trip over a light stand in a portrait studio, a chair at a wedding or a log in the woods when you’re looking for the perfect wildlife-photography spot. Simply breaking or severely cutting a finger could make it impossible to operate a camera. Plus, anyone is vulnerable to a long-term illness or other chronic medical condition. These are good enough reasons to consider seriously disability insurance coverage. Remember, not only might you be unable to work, but also your business would come to a dead halt. Prospective and/or former clients would have to seek another photographer for their assignments, causing your business to become inactive and for you essentially to start anew once you’re able to return to work. Since disability insurance will pay you a fixed amount every month, make sure any policy you buy provides enough money for today’s expenses as well future expenses, as the cost of living increases. Be aware of the waiting period before you begin to receive benefits, as designated by your policy. A longer waiting period will typically reduce the cost of the premiums; but you don’t want the waiting period to be so long that any savings or other assets you must use during the interim won’t last until those benefits start to arrive. 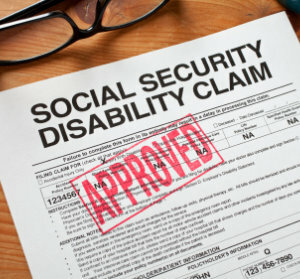 The total amount of time a disability insurance policy will pay benefits is also important. 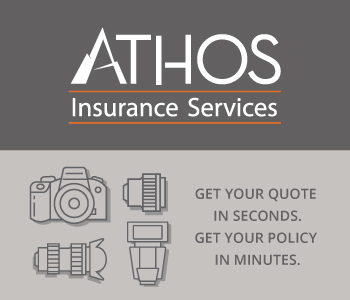 Be sure the amount of time is sufficient in relation to your injury or illness. Two years of benefits may not be enough if you’ve been in a serious auto accident that requires years of medical care and therapy. In most cases, the best protection is a policy that pays benefits until you’re 65 years of age. You never know what long-term complications may occur because of a relatively minor injury or illness. You should also clearly understand what types of disabilities and associated costs a policy covers before buying it. Again, a policy with a “discount” premium may be very restrictive. A policy could cover the period during which you recover and convalesce from an injury or illness until you are well, but may not continue to cover you if after that period you discover you still can’t work. It’s also important to buy a disability insurance policy from a financially stable company with a long track record, so you know they will still be operating and able to pay your benefits if you need them far into the future. Many experts also recommend business overhead insurance to cover the cost of operating your business while you recover. If you are liable for a lease and utilities on commercial real estate space, then this type of insurance will provide the benefits to fulfill your obligations. As always, it’s a good idea to discuss disability insurance with your attorney and/or accountant prior to buying a policy, so he or she can provide any guidance or advice. The information in this PhotographyTalk.com article is general in nature. PhotographyTalk.com does not provide legal or tax advice or imply legal or tax strategies for photography business owners. They should seek such advice from qualified professionals.